1Fry the onion in 2 tbsp of olive oil until soft. 2Add the tomatoes, harissa and passata. 3Cook for five minutes until the tomatoes begin to fall apart, and add the brown crab meat. 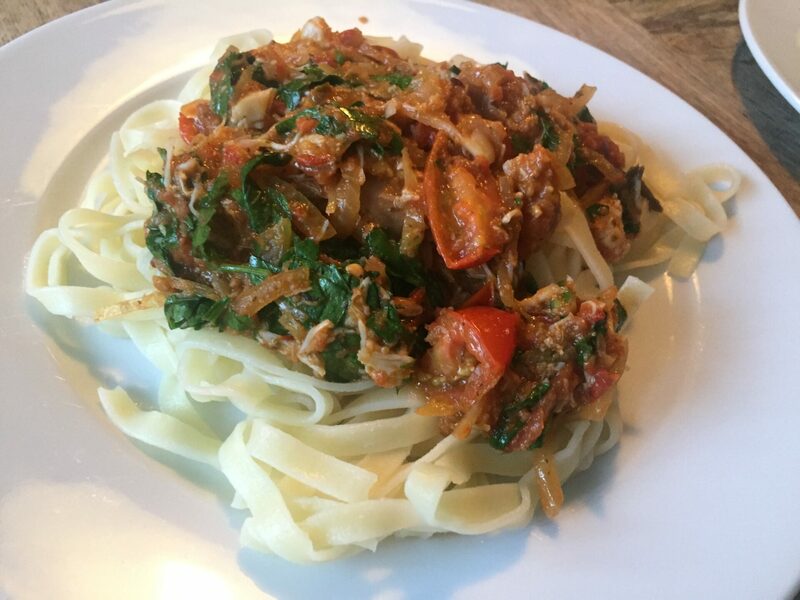 4Cook your pasta (allow around 100g per person) and add the white meat and parsley to the sauce just before serving. Season and add a little more passata if it looks a bit dry.